Click on the above to go to iTunes, Stitcher, Twitter or Facebook. 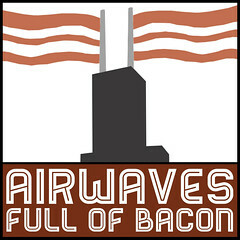 Saddle up, we’re going forward into the past in this episode of Airwaves Full of Bacon. 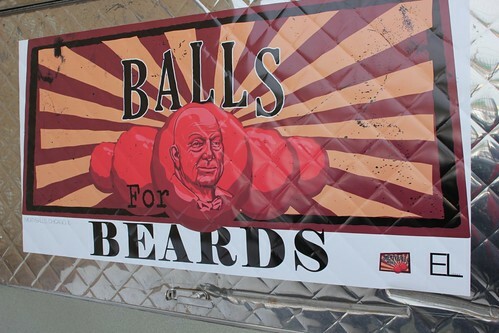 (1:40) Phillip Foss of EL Ideas gave up his food truck, the Meatyballs Mobile, two and a half years ago, but he took it out for one day recently and I tagged along. 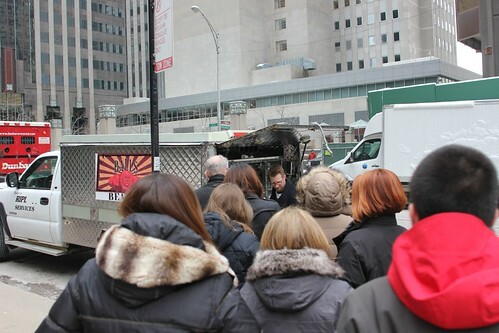 We talk about the food truck life from the perspective of someone who’s been out of it for years, and answer the burning question— how many tickets will he get from the city today? A version of this story and lots more pictures were at the Reader here. The guy with the food truck blog, Food Truck 50, who we run into can be found here and on Twitter. (19:21) My south side recommendations were Don’s Humburgers, Taqueria Tayahua and The Tamale Lady. Here’s the Thrillist piece on the South Side I co-wrote with Titus Ruscitti. 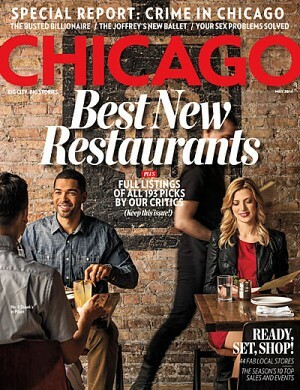 (20:59) Then I talk with Jeff Ruby of Chicago Magazine about the latest edition of their best new restaurants in Chicago list. Here’s a recent Reader post by me that Jeff references. We met at Aroy Thai, and had the soup I talk about here. (43:37) And finally, an interview from February 2013 with TV personality/lifestyle goddess Nigella Lawson, which originally appeared at Grub Street here and here. It was recorded during her book tour for Nigellissima. Here’s what she tweeted a few hours later, her final word on Chicago food.